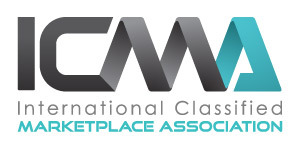 The International Classified Marketplace Association (ICMA), is an international non-profit trade organization that represents the global community in international classified marketplaces. ICMA is dedicated to promoting excellence through co-operation, networking, market leadership, innovation and information-exchange at every level amongst its growing membership. ICMA holds two conferences annually for members and non-members, and attendance at an event means you’re plugged into the worldwide network of industry leaders, allowing you to build crucial relationships. At the meetings, you will not only learn from industry experts but participate in lively discussions around challenges you're currently facing, which will provide you innovative solutions and actionable takeaways certain to benefit your business. Elastic Email is a powerful email platform built from the ground up to send your email more efficiently. Thousands of companies have already starting receiving the benefits and cost savings of using a more efficient, global email service.